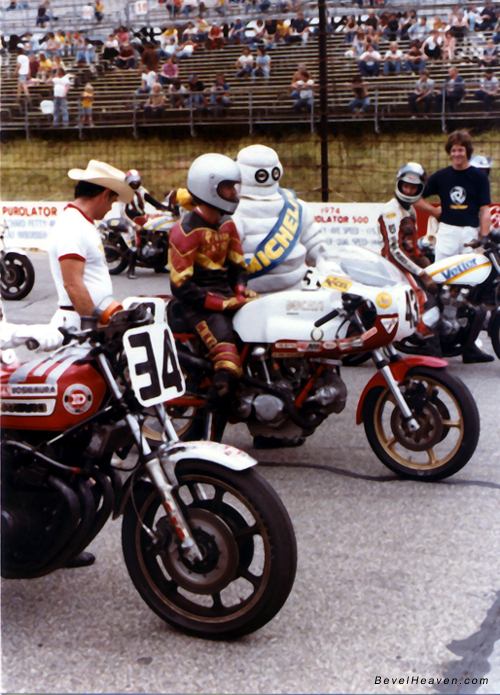 Reno Leoni and Mike Baldwin between Wes Cooley on the Yoshimura Suzuki, The Michelin Man and Keith Code on the Vetter Kawasaki on the grid. 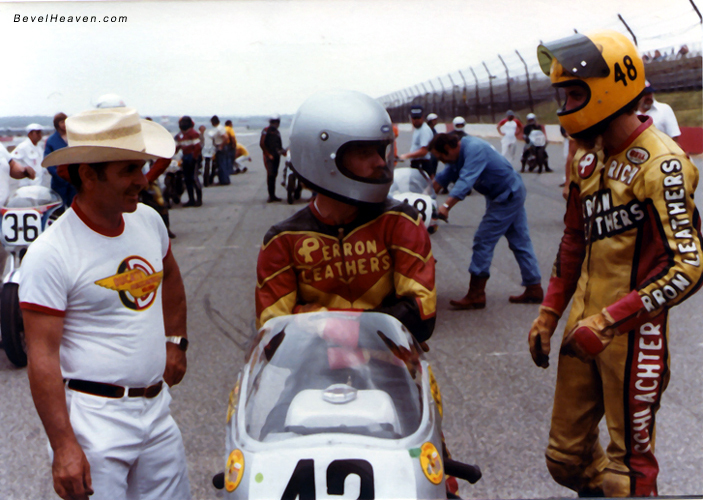 The photos you have of Reno Leoni and Mike Baldwin were not taken at Daytona. They were from the Pocano 78 AMA superbike race run in conjunction with the AMA national. The bike was Reno's NCR with a 24 liter factory Imola tank and a SS solo seat in place of the NCR seat/tank unit. Mike finished second to Wes Cooley (pre arranged). The AMA fined Mike ($500.00 if I remember correctly) for running non production crankcases and Reno was livid to say the least. At the time I had recently purchased the Leoni/Berliner/Liebman Guzzi superbike and had it there for Kurt Liebman to ride so was with Reno in the pits.